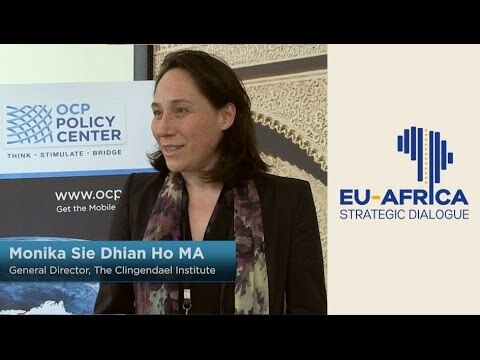 The EU-Africa Strategic Dialogue is an international conference co-organized by the European Union Institute For Security Studies and the OCP Policy Center, in cooperation with Compagnia di San Paolo, in the context of the “African Futures” project. The objective is to explore possible African trends and scenarios with a horizon of 10 to 15 years, i.e. the end of the next decade, focusing on what is likely to happen in terms of demography, economy and society, governance, international relations and security – and how all this is expected to affect Europe. 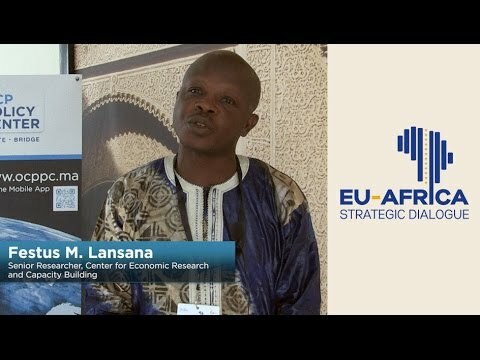 30 countries, 40 international institutions and 40 Moroccan organisations will be represented in the EU-Africa Strategic Dialogue. 80 Experts from both continents will share, during the conference, their respective views on a large array of issues of common interest. Since Africa is a macro-region encompassing numerous countries and people, with a high degree of internal diversity, a special emphasis will be put on ‘horizontal’ issues such as mobility and resources and their impact on regional development, stability and security. 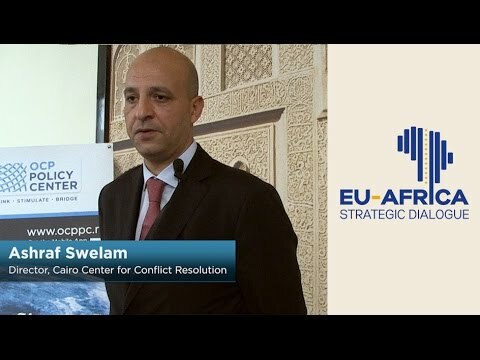 Additionally, given the sheer size of the continent and the number of countries, a particular attention will be paid to sub-regional aspects, trying to analyse key players (states as well as organizations), external influences and vectors (e.g. South Atlantic, Indo-Pacific), as well as drivers of conflict and cooperation. The aim is to enrich the policy-oriented dialogue, on which the “African Futures” initiative is based, with the voice from a country that sees itself very much as a ‘bridge’ between the two continents and the southern perspective provided by different African stakeholders. This, in turn, is quintessential to uncover a number of megatrends and a spectrum of possible game-changers and to gain a broader understanding of the crucial issues that will influence both continents’ future. 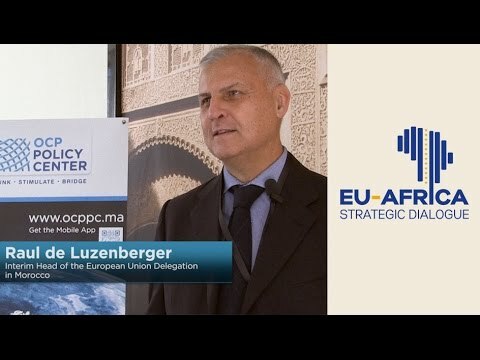 This session will enrich the EU-Africa Strategic Dialogue Conference with the insight of policy makers. It will be the occasion for them to pinpoint critical issues that are topping the policy-making agenda. It will also be an opportunity to share views and bring ideas that can be debated during the rest of conference. The future economic development of Africa is of the utmost importance as it will significantly impact the global outlook. That is why this panel will focus on industrialization, trade and regional integration. I will also highlight issues related to the modernisation of agriculture and the optimisation of land usage. Lasty, given the continent’s enormous natural resources reserves, a special attention will be given to the extraction of these resources, the management of their revenues and the possible ways of dealing with the potential impacts of climate change. The growth of cities and the demographic shifts are key elements that affect countries’ development. Therefore, this panel will shed light on the projected demographic trends to understand the potential structures of future societies. The panel witll also address the growing urbanisation and its impacts on employment and safety. Last but not least, given the historical human movements between Africa and Europe and the increasing number of conflict zones, migration and displacement will be discussed to identify possible ways of dealing with such issues. Instability and the growing transnational threats are at the heart of recent poliymakers discussions. In effect, turmoils in several regions are expected to bring additional global challenges. This panel will try to discuss some of the most disturbing questions in this regard. It will start with a closer look at terrorism and jihadism. A particular attention witll then be given to organized crimes and the movements of arms and drugs. Lastly, human trafficking will be discussed to understand the issue and its broad implications. This panel will explore current geopolitical trends and the complex dynamics that drive the strategic choices and actions of western superpowers. It will also analyse the moving balance of power in Africa. A particular consideration will be given to the growing role, in the continent, of some emerging countries, namely: China, India and Brazil. Lastly, the panelists will identify the continent’s emerging powers and their future role in the international agenda. Policymakers and experts will build on their insight and the conclusions of the discussions to assess the possible scenarios and identify Africa’s Megatrends for the next 10 to 15 years. 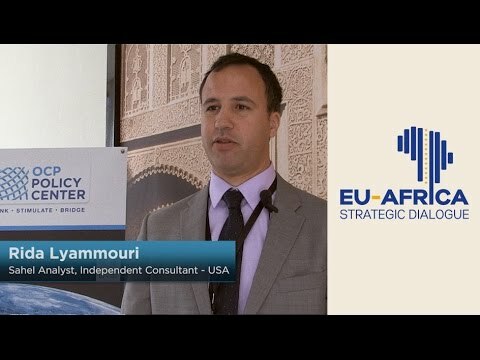 The EUISS is an autonomous EU agency that works under the aegis of the High Representative (HR) Federica Mogherini, in close cooperation with the European External Action Service (EEAS) and under the supervision of the Political and Security Committee (PSC). It has its Headquarters in Paris and a liaison office in Brussels, where most of its activities now take place. It organizes workshops and conferences, publishes long and short papers, and participates in a number of networking activities inside and outside the EU.